United Food and Commercial Workers 1518 is one of BC’s biggest private sector unions, serving over 20,000 members in industries such as retail food, industrial food processing, health care, manufacturing, and many more. 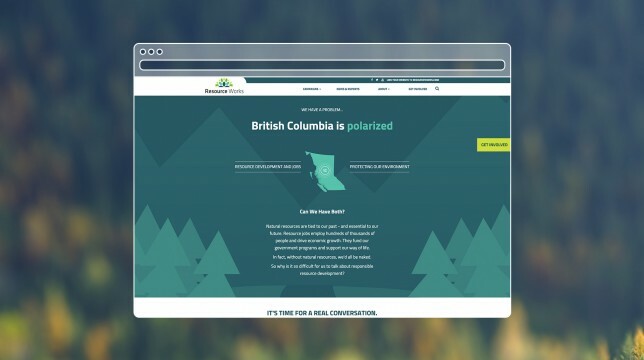 They came to us looking for help modernizing their brand, in an effort to reach a younger audience, while also gaining input from their membership throughout the process. 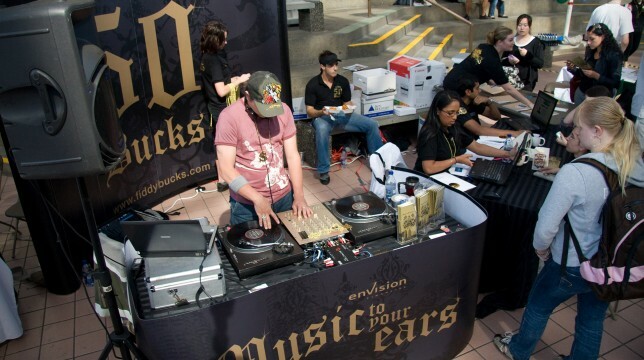 This was a large-scale project, with everything from union swag to office murals being branded. 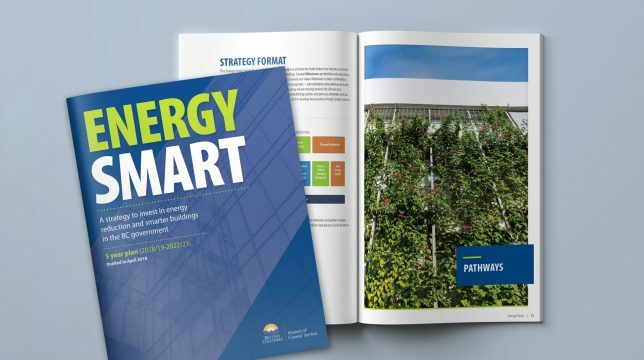 The primary issue on this project was working within the constraints imposed by a) UFCW 1518’s being a member of a larger, international organization, and b) having such a large and diverse membership base to win over. Since 1518 is only a single chapter of the organization, we had severe restrictions on what we could do with the union logo. Since this project was a brand refresh and not a full rebranding, we had to use creative design tactics to showcase how valuable a brand refresh can be, to members who were concerned about how their union dues were being spent. 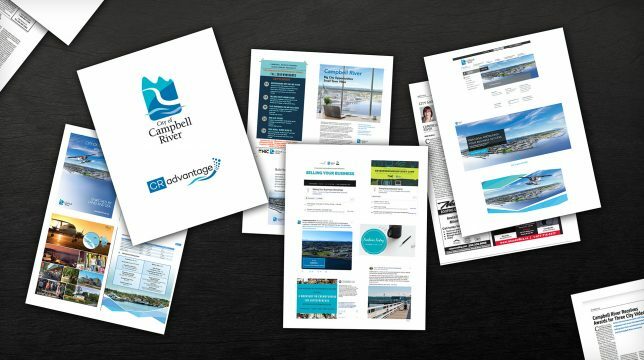 The key for this project was ensuring member buy-in on the brand refresh; we had to make sure that their voices were heard. To do this, we used a comprehensive market research approach, to gather input from as many interested members as we could. Focus groups were used to test possible creative concepts and messaging, while also getting an idea of what made people proud to be a part of the union. 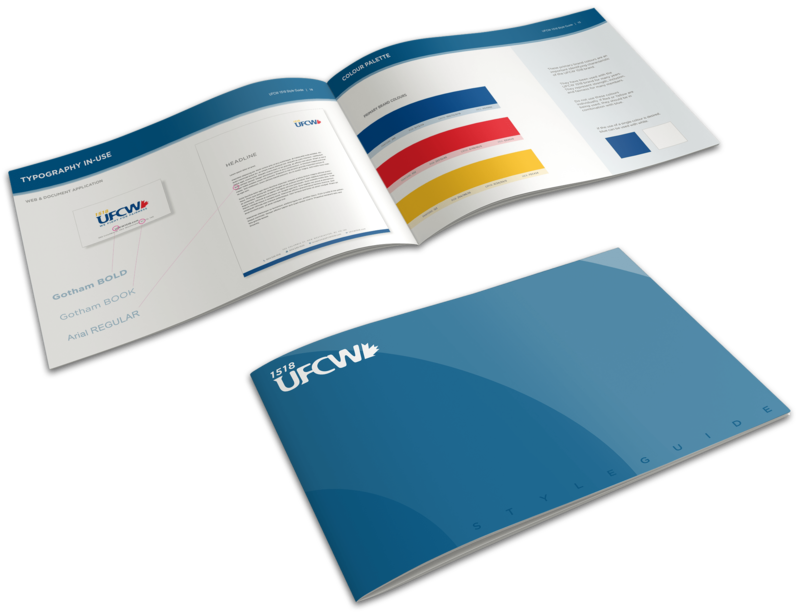 We also conducted an online survey, posted on the UFCW website, to find out what members used the website for, and any changes they desired on the new site. 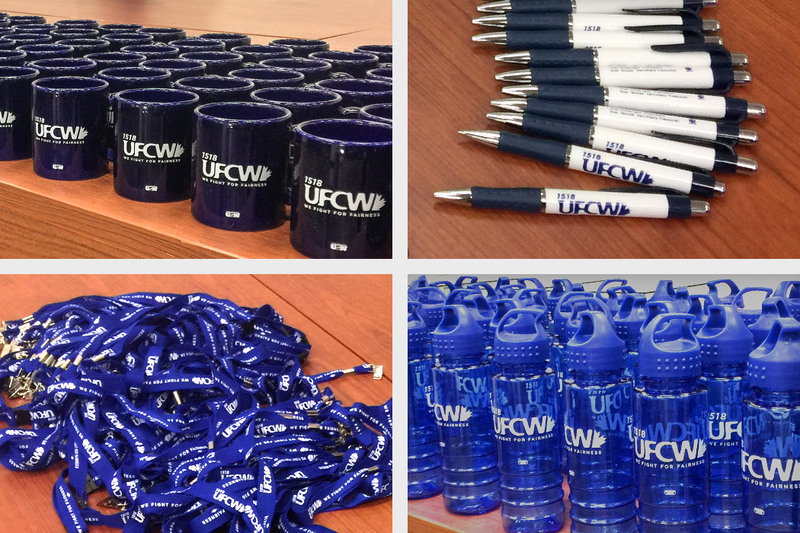 Our refreshed brand and all of the components were presented to UFCW 1518 staff and members at their headquarters. 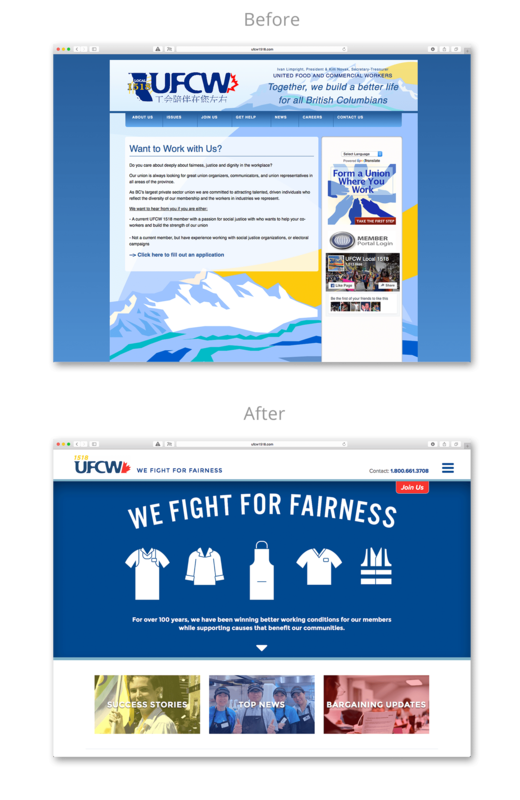 The reception of the new UFCW 1518 brand was overwhelmingly positive, and staff and members were excited about the potential and ease of use of the new website. We were proud of our work on this project because it showcased our ability to discover unique solutions while dealing with constraints.